The Texas Resource for Careers in Accounting. 126: Tim Gearty of Becker CPA Review – Exam Advice, Plus The Rest Of The Story! 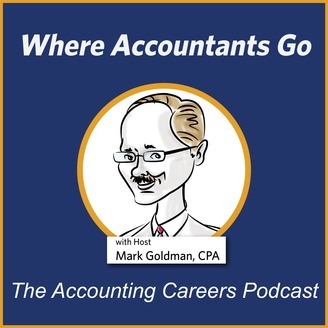 Tim Gearty, Editor-In-Chief and National Lead Instructor for Becker CPA Review, as well as Managing Partner for Gearty & McIntyre, joined us for this episode of Life In Accounting, a podcast production of Where Accountants Go. 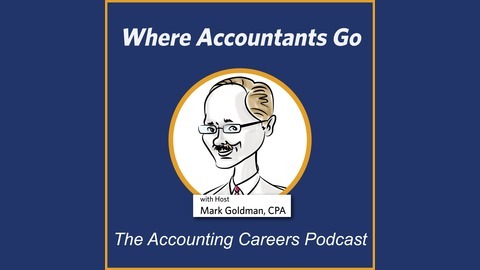 Like most of our episodes, we started off by asking how Tim got into the accounting profession. And like many guests, it came down to a very practical decision for Tim early in life. He had experienced other ways of making income as a kid (snow shoveling, a paper route, etc), and realized that many of those required a high amount of physical labor. That was hard work! <grin> So instead, when a family friend suggested he consider accounting as a potential career choice, he felt it would be a more practical way to make a good living. His career started as many do. He worked for a short while in industry, and then with Peat Marwick Mitchell, a predecessor to KPMG. After about 3-4 years in public accounting, he decided to take time off for law school. Almost immediately after deciding to pursue law school, he was invited to become a professor due to an emergency need at the university. He found that he thoroughly enjoyed teaching, and by the time he was finished with law school he found that it wasn’t necessary for him to return to a full-time accounting role at a national firm. With both his teaching income as well as accounting work that he had picked up along the way, he was actually better off. Plus, he loved helping others learn, so continuing along the teaching route just made sense. Tim now spends his professional efforts in three main areas, as managing partner for their accounting firm, providing CPE for Fortune 100 companies, and in his role with Becker of course. You can tell from the interview that he is extremely passionate about his work, and he definitely enjoys the variety. We couldn’t end the podcast without getting Tim’s insights on passing the CPA exam as well of course. Make sure you listen all the way to the end. Tim shares not only some insights into being successful with the exam, but also some of the pitfalls that candidates can encounter these days. If you find value in this episode, please also check out our episode on “How To Pass the Exam” where we interviewed 5 recently certified CPAs on the techniques they used to ensure they passed.